Great news, chicas y chicos – Manhattan Beach is not just for surfers and overpriced real estate: It’s home to a wine bar that’s a globe-trotting mash-up of exotic North African bazaar and eclectic wine shop, its soundtrack emitting a cool, world-beat groove. 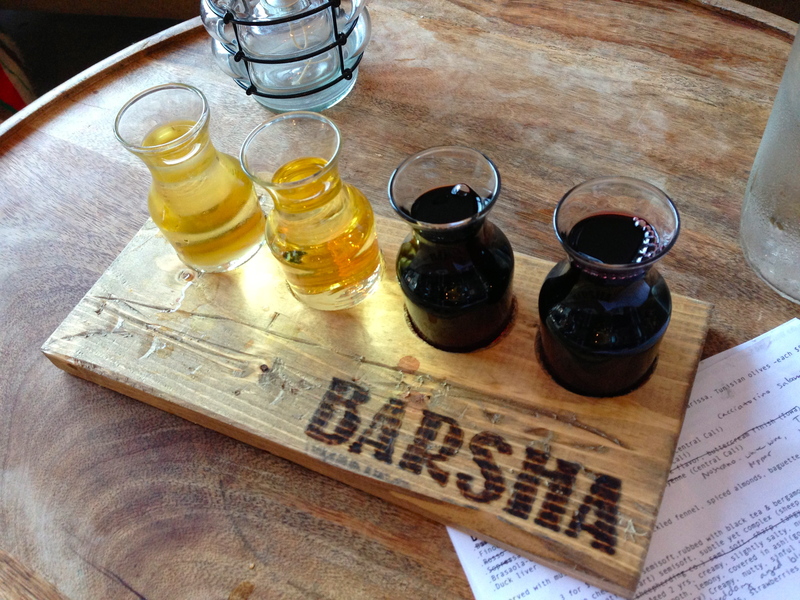 Welcome to Barsha, where the wine is delectable and the ceramics covetable. It took a girls’ night out with fellow wine blogger Vinoista to finally get me here after a year of driving by and making a silent pledge to try it each time. Located in a mini strip mall anchored by a Baskin Robbins and a Mexican restaurant, Barsha may not be dripping with curb appeal, but stepping inside is like broaching a magic portal into the tricked-out lair of an über-hip, vino-loving nomad with a cosmopolitan palate and a wicked world music rotation on the iPod. 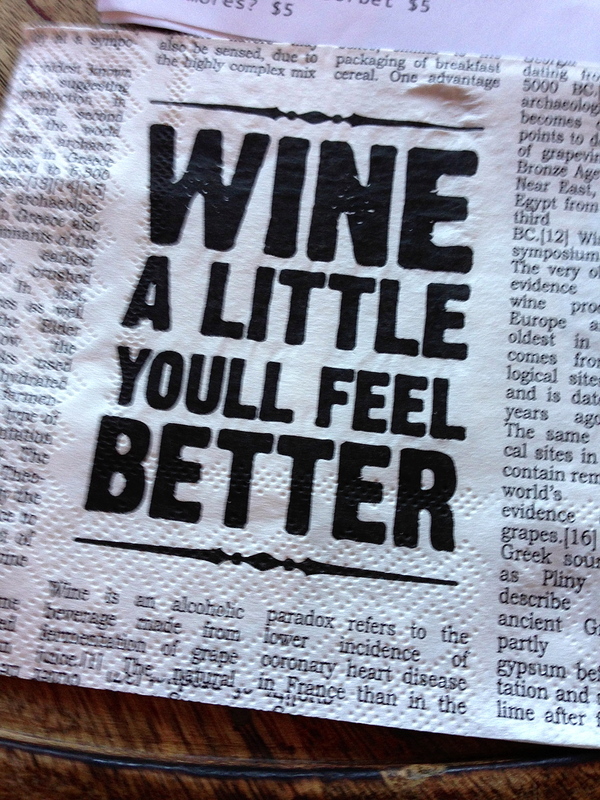 Truer words were never printed on a cocktail napkin. 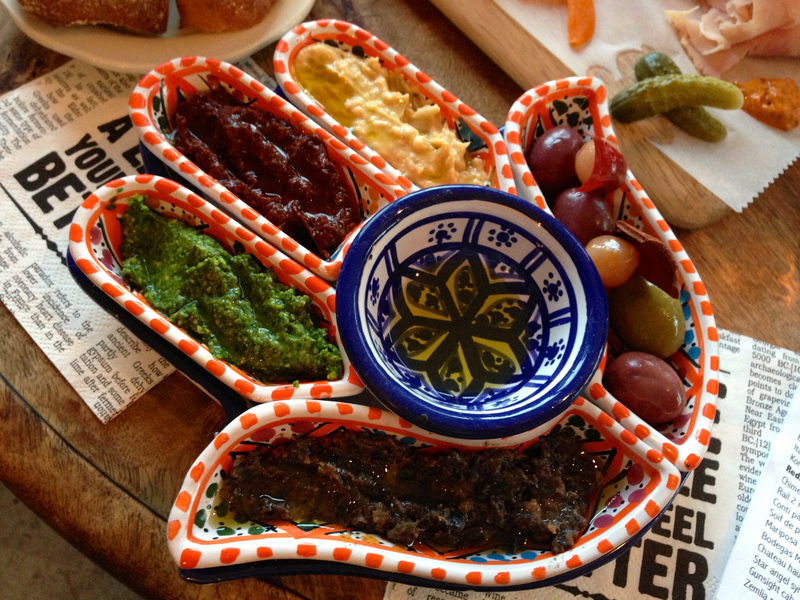 Owner Adnen Marouani hails from Tunisia, brining international experience as a restauranteur and sommelier. He prides himself on a well-curated collection of small-production wines from around the globe, some of which are available in a four-wine flight at a reasonable $12 per flight. If you’re just looking to buy wine for dinner or as a gift, you can stock up on a robust offering of wines rarely seen at big-box retailers or in supermarkets. Can I get a salud? Vinoista and I shared the “Viva la California” flight, featuring two Albariños and two Tempranillos from California’s Central Coast and Paso Robles wine regions. ¡Olé! Wine newbies will love the tasting notes listed for each wine in the flight, a great tool for training or testing your palate. And speaking of palates, wine can get lonely without its BFF, food, but that won’t happen here with a fab selection of Mediterranean-style appetizers. Cheese and charcuterie plate. ¡Que rico! Start with Marouani’s Bread and Butter, a hot-out-of-the-oven bread basket served with preserved Tunisian olives, olive oil for dipping and an assortment of house-made “butters” including hummus, date almond tapenade, artichoke basil pesto and the night we were there, a special spread made with harissa, a spicy paste used in North African cuisine. Oh, and don’t get me started on the ceramic plate the spreads are served in (see first photo in this post). I had to fight the urge to stash it in my purse when no one was looking. 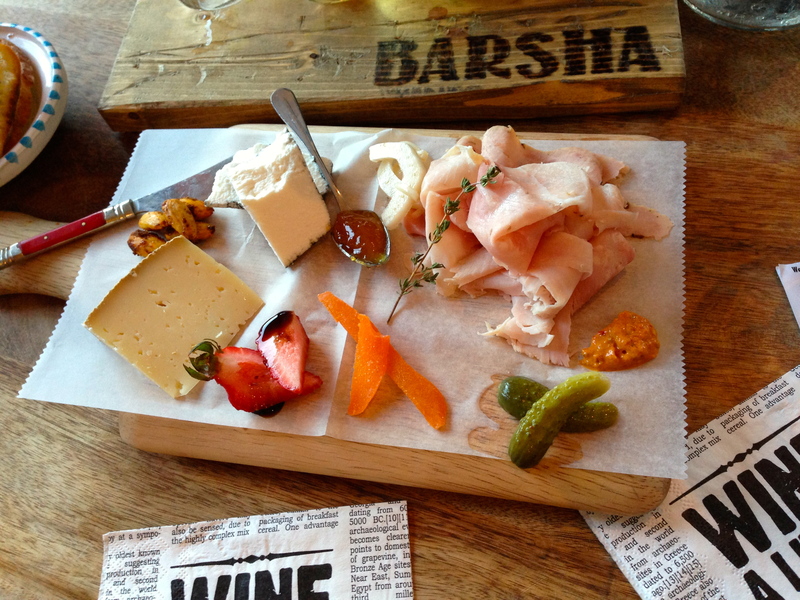 The cheese and charcuterie plate paired nicely with our wine flight. The star of this appetizer was a truffled ham, sliced belly-dancer-veil thin. The other highlight: Tunisian spiced almonds, which our server told us were made fresh that day. 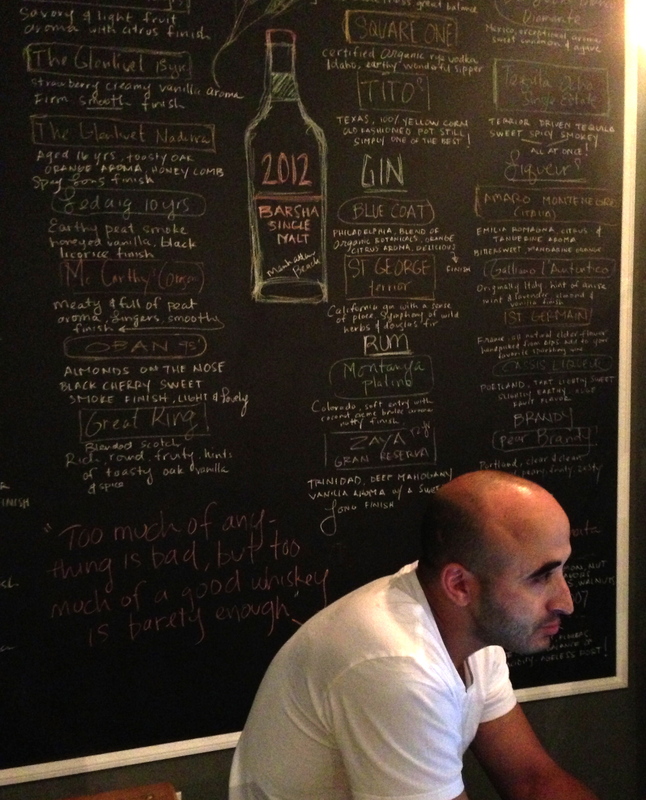 Owner Adnen Marouani explains the philosophy behind his wine selections. Barsha, named for the Tunisian word meaning plenty, has mucho to be happy about these days, as it’s gearing up for its one-year anniversary bash on Saturday, September 14. From 6 to 9 p.m., you can enjoy vino, craft beer and a tasting menu of beef sirloin sliders, ahi tuna tartare with Asian guacamole, tomato bisque shooters with avocado oil, and mushrooms stuffed with spicy sausage, walnuts and herbs, all for $35. So if you happen to be in the Manhattan Beach area, stop in and tell ’em Señorita Vino sent you. Oh, and if you see a señorita wrestling a ceramic hand of Fatima plate into her purse, it’s our little secret, okay? 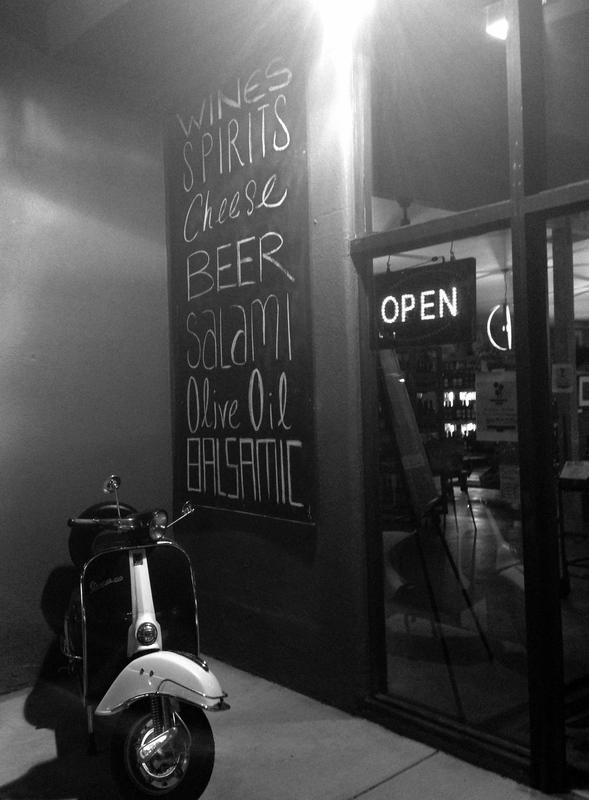 Barsha Wine and Spirits. 917 N. Sepulveda Blvd. Manhattan Beach, CA 90266. (310) 318-9080. Great post. This place looks like a winner. I’ll have to put it on my list whenever I’m returning from LAX. Love that ceramic hand too. Oh I soooooo wish I lived close enough to go here!!! 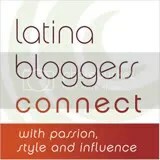 Great Post – Barsha was a great choice, I’m glad to have benefited from you finally visiting!!! We need to team up more often!